I'm not much of a runner by any means. I tried to run a bit this autumn but only went for 2 successful runs, and by true runner standards, it was pretty light. I downloaded a new app for that too, to get me motivated to do it: Strava. And honestly? I really like Strava but it's clear that it's geared best for runners or cyclists. Perhaps a review with my experiences of Strava another time. Today, I wanted to discuss the new accessory I bought a few months back because I was going on hacks and it was a pain to figure out how to bring things like my cell phone or keys or even ID with me. I do have a running jacket and cycling jersey with a zippered pocket in the back but what about when those items are dirty or it gets cold? Enter, the Spibelt. 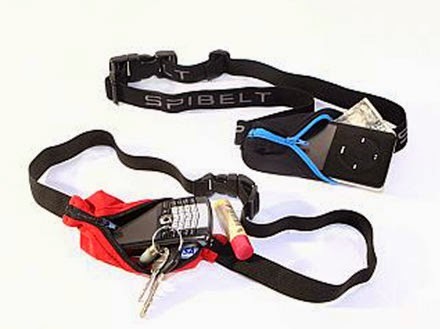 Effectively, the Spibelt is a very sleek looking and 'improved' fanny pack. 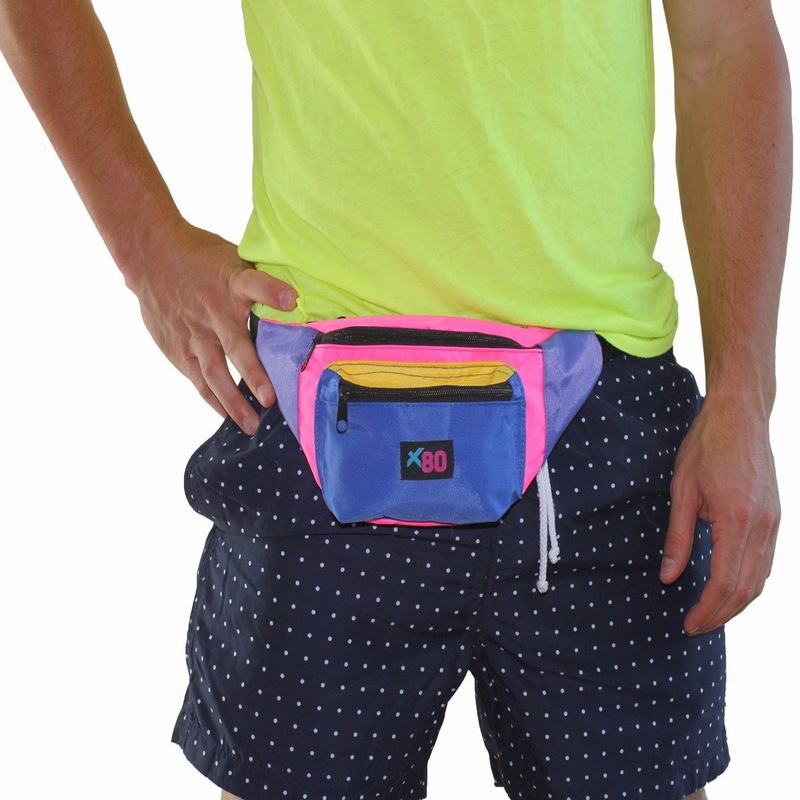 Does anyone remember the fanny packs of the 80s? It was all the rage! Before I get into the full on review of the Spibelt, I should disclose that I am putting this review together based on personal experiences and personal need (not endorsed by Spibelt or related parties) and that while there are many other similar products, I chose this one because it was both convenient and (in my opinion) well designed for my purposes. I always try to look for a Canadian product but if I can't find a suitable one, I go for a USA made or European made one (this reasoning can be left for another day ;) ). The first thing I did was to consider crossover equipment instead of equine specific equipment because it's unlikely that there exists an equine specific fanny pack. I did check out a review about the Spibelt from a runner, before purchasing. When I was first riding as a child during camps, I was always told that riders are not to carry/wear anything where straps might be caught through the bush. My original intent was to get the Spibelt for my hacks. The Spibelt fits close to the body so there are no loose straps flapping about. Comfort is a big deal because when you're riding, the last thing you need is another distraction if you're already having issues with something. The strap is an adjustable elastic so it isn't restrictive as you bend and move--it's kind of like wearing your buffet pants. The 'pack' portion is not bulky streamlined enough to remain close to the wearer's body, even when you're bouncing around. Although, the last point about the pack's bounce is dependant on what you put into the belt's pack. the pack is expandable so it will always retain the most compact shape possible. Going on hacks can prove to be a risky activity so safety is key and one of the aspects for riders to keep in mind is visibility. The Spibelt comes in a variety of different colours ranging from hot pink to the foil variety. There are many accessories (typically geared for runners) that can be added onto the belt to enhance the single pouch capability. Washable for those sweaty rides. But I have yet to try this out on my own. Varying sizes are available for all your varying needs. There is a water repellent version in addition to the basic one so if you do get stuck in the rain, you'd be good. There is no specified "directional" way to wear it. You can wear the pack in the front or back or cross body if you so wish. The size is adjustable and the range of such is pretty wide for the average person. Depending on what you put into the pouch, the "package" could flap about as you bounce around. It isn't a Canadian brand... but this isn't really a "bad" feature; I just like to support my country's entrepreneurs when I can. Sometimes your shirt would ride up because of the elastic band around your waist and your movement. Depending on your waist size, this could be a problem... either you're too petit or you're too girthy for the generic size created. It's a little tough to get things back inside while you're wearing it, depending on what the contents are. The fanny pouch is just that... a single pouch with nothing further to it. Everything goes into the pouch (there is an option to buy a double pouch version) and there is no division or smaller pockets. The pouch itself isn't vastly out of the park in terms of price point (shop around as you can usually find a "best deal") but it isn't chump change when I compare to my 80s fanny pack or a basic fanny pack from MEC, especially when you start getting past the original basic version. This is not a fanny pack that you can should reach into while you're actively moving about. Since the pouch has no real structure and has a tendency to return to its 'shape', especially when it's being worn, you have to be careful when you open it up to get at the contents or risk spillage--which would defeat the purpose of the pack. Spibelt makes several different versions for different purposes; I chose the original version in black with a hot pink zipper for funk. Overall, I'd say that there were definitely more positives about this product, than negatives and well worth the purchase if you need a streamlined pouch for your hacks or even lessons, but to keep in mind that there are other versions. The idea to keep in mind is to consider other activity centric products for the equestrian.